For years, charlottes have only been available in size 13/0. They are now being manufactured in other sizes as well, mostly 11/0, 13/0, and 15/0. 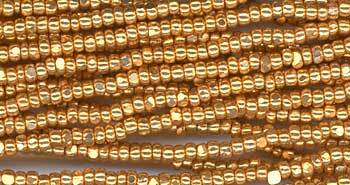 For those of you who like the cut beads but don't like working in the small sizes, these 11/0 beads are perfect! Beautifully cut, these really reflect the light. Don’t confuse these with the 2-cut or 3-cut seed beads. These are true cut beads. Sometimes these are listed as "true cuts" instead of charlottes. 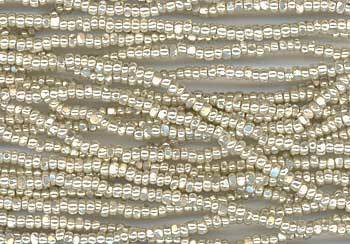 We've decided to call them "charlottes" since they are the same style of bead as the traditional 13/0 cuts. 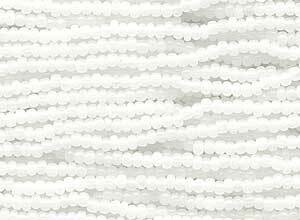 These beads are sold in full-length hanks, just like regular seed beads. They generally have 12 24-inch strands so they are about twice the size as the short 13/0 charlotte hanks.